We provide comprehensive security printing solutions for Banks, Railways, Airlines, Institutions, Telecom and Other Industries. These solutions are specially designed to provide protection against fraud and counterfeit. Our dedicated security features allow you to optimize your security documents or to adapt your existing designs to a higher degree of protection. Being a reckoned name we are offering Dividend Warrant Service, used specifically in corporate sectors, commercial needs as well as governmental establishments. Use of advanced technology in rendering of offered services as well as giving prior consideration on integration of customers’ specifications have made our solutions to be asked prominently, under cost-effective budget. 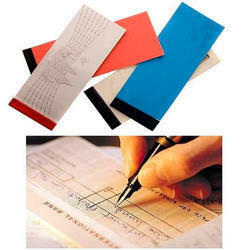 We are engaged in the specified business of offering Cheque Books Printing Service to our profound customers. These services are offered to the clients, following and including their required specifications. Used specifically in banks, these services are offered at reasonable rates and the technology we use is latest and advanced, so that optimum print quality is offered. 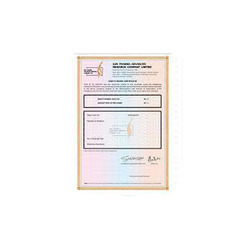 With the assistance of our deft team of professionals, we are able to introduce a broad array of Share Certificate Printing. Amazing printing, perfect color complexity and appealing appearance are a presented of the gimmicks of the prints created by our professionals. Also, such advanced manufacturing setup enable us to develop excellent certificate designs using Coral Draw and Photoshop applications. Clients can provide their own design, size and color requirement that they need on certificate. 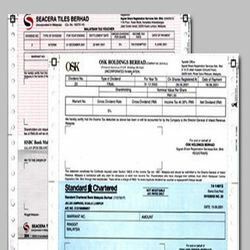 Additionally, clients can also opt for back pouch, easy tear, bar code, numbering, and address options on offset. Our company offers you an extremely wide capability for offset and digital magazines printing services. 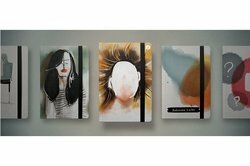 We carefully assess your print and binding requirements. We may also offer suggestions that will ensure a better color print job and save money in the process of printing of your magazine.